My wife Tami (purple shirt), daughter Chrissy, and Deirdre Carey and sons Charlie (front) and Jay, and Peter Devereaux and wife Fiona and daughter Jackie. Charlie is a miracle childhood cancer survivor. Peter is a miracle Stage IV breast cancer survivor, as is my wife. All of our connections started online. Just returned from an amazing family adventure in Maine and Boston. Sprinkled among the seafood feasts, walks in beautiful settings and tours of historical sites were visits with inspirational cancer survivors and their families. My wife Tami, author of From Incurable to Incredible: Cancer Survivors Who Beat the Odds, met the survivors though her blog, Facebook and other online channels. I share my vacation story here because it serves as a perfect example of the power of social media. I get to see first hand how people like my wife and Marie Petrides support each other on Facebook and phone — and finally, in person in Boston — as they do everything within their means to survive metastatic cancer. They share experiences about treatments, diet, spirituality… as they beat the odds. Social media truly is a lifeline for them — something that facilitates powerful connections with survivors, doctors, holistic practitioners and the like from around the world. These connections simply wouldn’t happen without social media. As I’ve stressed on this blog, social media isn’t a replacement for face-to-face interaction. In fact, it facilitates it. 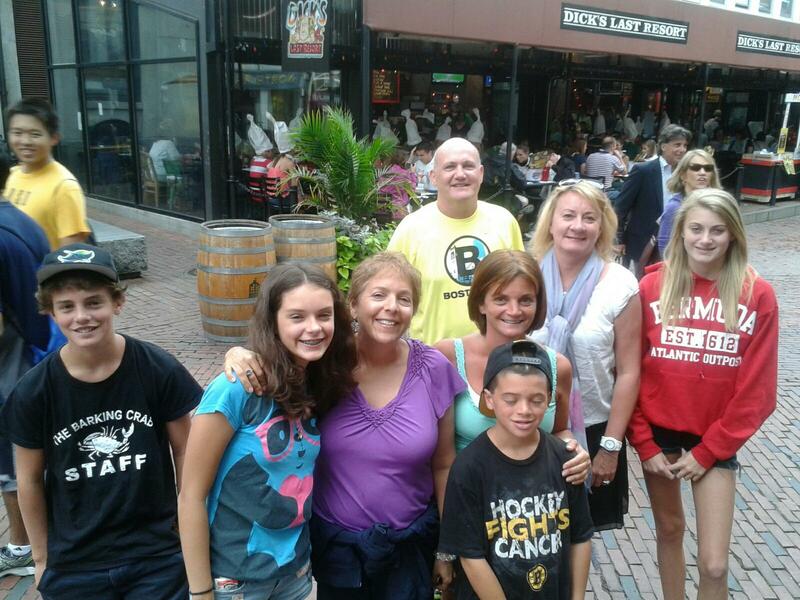 During our trip, we had lunch with lung cancer survivor Deb Violette in Augusta, Maine, and hung out with childhood survivor Charlie Capodanno and his mom and brother at Faneuil Hall and Stage IV cancer survivor Peter Devereaux and his family at Boston Commons. We enjoyed lunch with Marie Petrides in Cambridge. Breast cancer survivor Wendy McCoole and her husband Kevin gave us an unforgettable tour of the Portsmouth, N.H., area. Conversations began months ago in social media, and will continue there — until we meet in person again. Soon, I hope.